Welcome to Lone Star Lodge Cabins in Big Lake, Texas! Located in the “Heart of the Permian Basin! 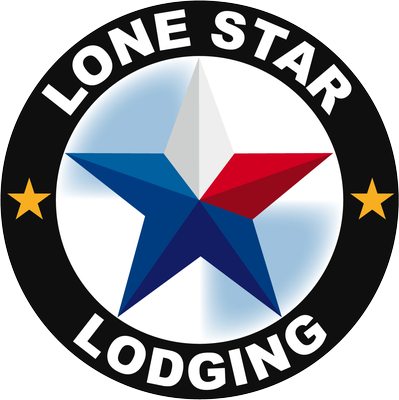 Lone Star Lodge excels in corporate lodging for business travelers working in the West Texas oil fields. If your company has sent you to “God’s Country” for an extended stay, there is no better “Home Away from Home” than Lone Star Lodge. While Big Lake only has a population of 2,917, You’ll find this to be one of the most “Hustling and Bustling” little communities in any major Oil Play across the United States! With that being said, lodging is very limited and we know that we must work hard to earn your patronage and keep it. We at Lone Star Lodge take that responsibility very seriously. Business travelers will find our cozy cabins to be very warm and inviting. We invite you to start each morning with a hot cup of “Joe” and a complimentary hot breakfast with endless buttery waffles as well as crispy bacon or sausage and eggs and a plentiful assortment of fresh fruits, pastries, cereal and yogurt before you head out to the Oil field. While we know that nothing replaces being at home, Lone Star Lodge offers all of the creature comforts that you’ve grown accustomed to like free High Speed Internet to all 60 cabins, DirecTV with over 130 channels plus 18 movie channels of the best that HBO and Showtime has to offer. For all of you sports fanatics we’ve also got the NFL Network(R) bringing you live 24/7 NFL coverage! If cooking out and enjoying a cold beverage is the way you like to unwind, feel free to bring the steaks, chicken, sausage or whatever you like to our luxuriously appointed BBQ Pavilion complete with it’s own restroom, a Commercial grade Stainless Steel Gas Grill (including rottisserie) for the juiciest pork loin or chicken you’ve ever had. Also, don’t miss watching the big game while simultaneously cooking out located within the pavilion. How much better does it get? If there is anything that we can do to make your stay with us more complete, simply ask and We will go above and beyond to make sure that Lone Star Lodge is the only place you’ll want to stay in Big Lake, Texas. We aim to please and We look forward to seeing you soon!